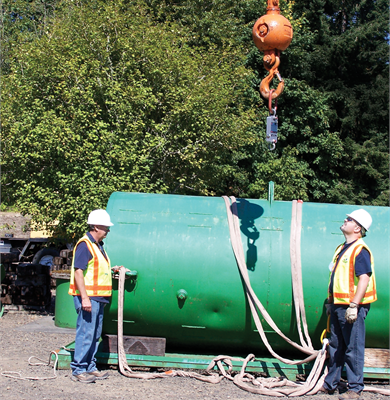 Dyna-Link 2 is lighter and more portable than its predecessor. 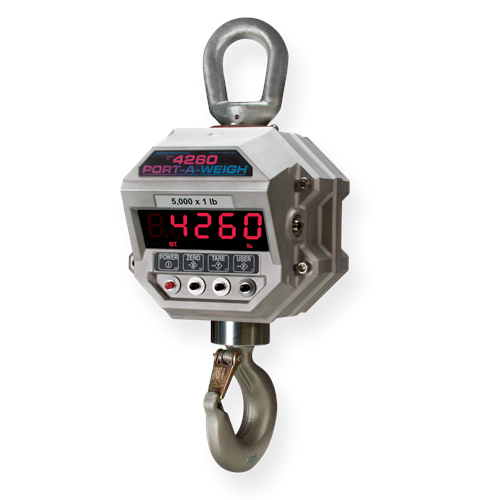 It interfaces with industry-standard Crosby® shackles and a variety of accessories and options, including wireless connectivity with the MSI-8000 and 8000HD RF remote display. Long-range viewing is enhanced by a large six-digit, 1 inch (25.4 mm) LCD display with resolution settings up to 5,000 divisions and precision accuracy over a wide range of capacities. 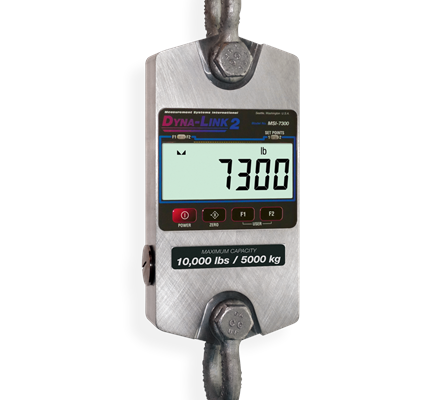 Dyna-Link 2 is constructed of high-grade, aircraft-quality aluminum with an anodized finish and gasket sealing to ensure NEMA 4/IP65 rated environmental protection. Peak digital processing with low power consumption provides up to 300 hours of operation from standard common batteries during typical use. 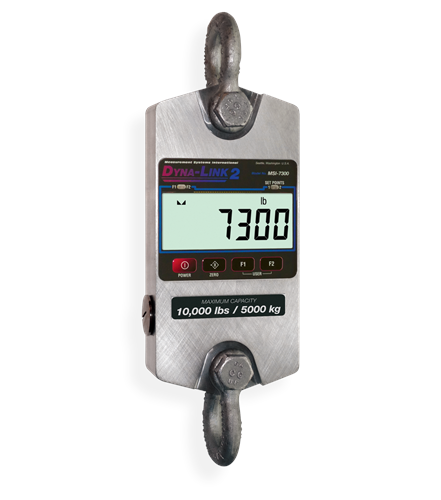 The optional MSI-8000 RF remote display provides full-function remote control of Dyna-Link 2 features up to distances of 100 feet (30m). An integrated serial port offers interface capabilities with data collection devices. 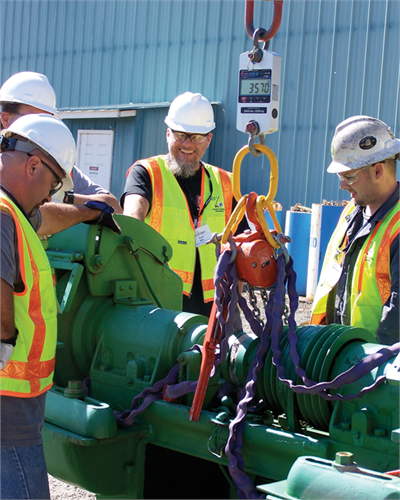 The MSI-9300HT is a unique crane scale configuration specially designed for heavy capacity coil handling applications, up to 35 tons. 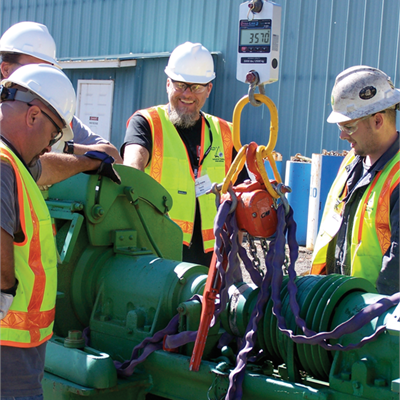 A fixed hook is featured for interface compatibility with crane hooks equipped with powered rotation and where high torque conditions exist between the crane hook and load. 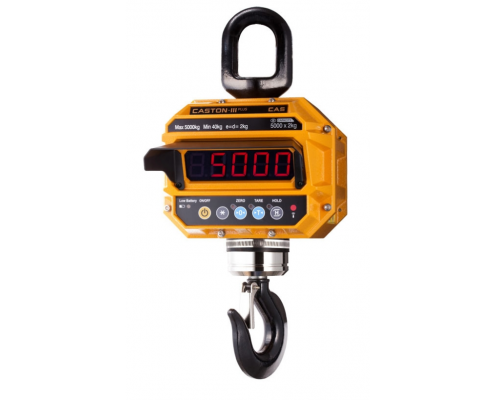 The MSI-9300HT (high-torque) crane scale combines an integrated weight display with advanced wireless data processing capability providing versatile solutions in overhead industrial weighing applications. 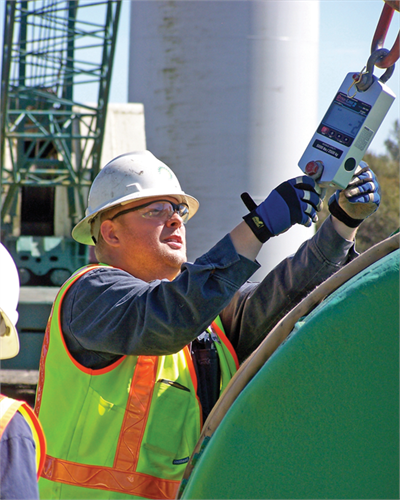 The MSI-9300HT merges advanced CellScale™ technology with world-renowned crane scale designs providing local and remote control capabilities along with connectivity with plant information systems. 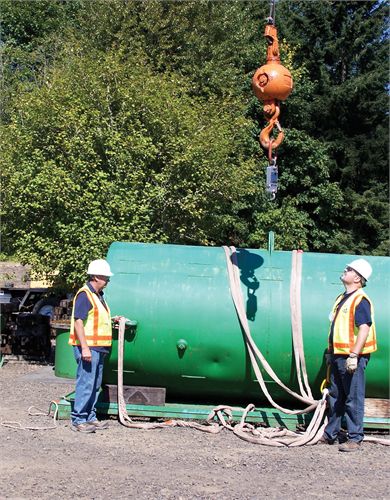 The MSI-9300 HT features industrial-grade, shock-mounted electronics, watertight packaging and a large, ultra-bright display. 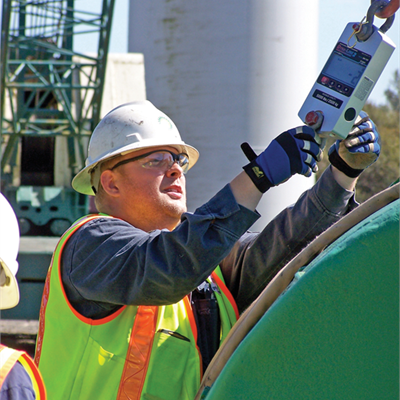 Integrated CellScale technology offers the ability to effectively monitor and control single or multiple crane scales from multiple locations throughout plant operations. The MSI-9300HT is available in addition to RF modems for wireless connectivity with peripheral computers and scoreboards. Optional 802.11b/g Ethernet connectivity is also supported for adaptation and integration with existing plant information systems. 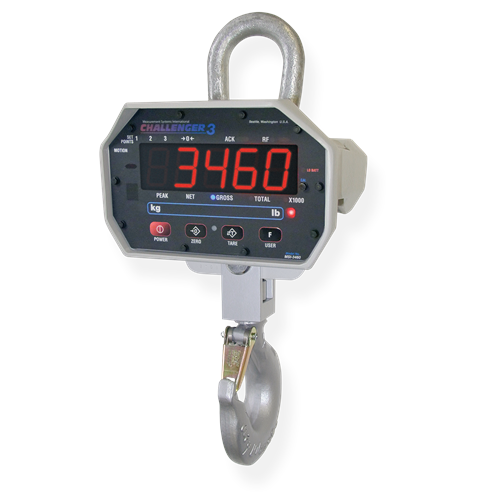 Indicator for a fully operational Bluetooth crane scale. 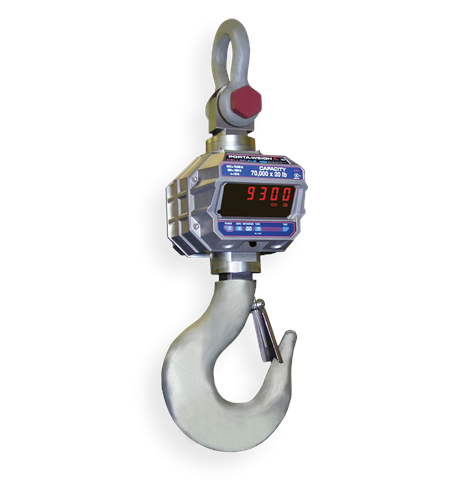 This portable handheld indicator is both durable and functional. 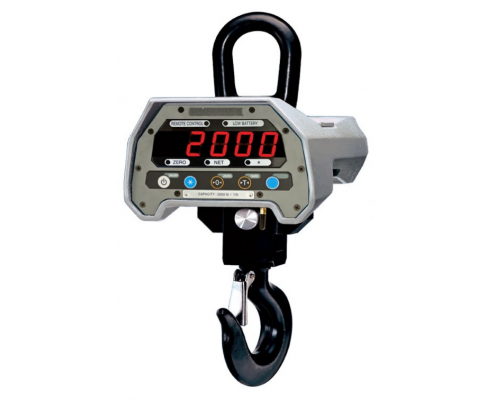 The TWN’s design incorporates a built-in rechargeable battery and offers Blue- tooth wireless communication capabilities that enable transmissions in excess of 300 feet /100 meters.